Planned Parenthood is having a tough time convincing its usual group of reliable liberal lawmakers and allies in California to approve its bill to punish undercover journalists for publishing and distributing recordings of conversations with “health care providers,” even in the context of exposing corruption for the benefit of the public. The abortion industry giant is now scrambling to make some changes to Assembly Bill 1671 in order to save it prior to the close of the legislative session, reports the Sacramento Bee. Critics of the bill are concerned it will force First Amendment rights to free speech and a free press to become subservient to Planned Parenthood’s privacy. Kevin Baker, legislative director for the ACLU of California, usually a staunch ally of Planned Parenthood, said that while privacy is important, the broad language of the measure could criminalize even lawyers and journalists who share information from a whistleblower exposing corruption. The legislation – dubbed the “Planned Parenthood bill” – was introduced at the request of the organization by Assemblyman Jimmy Gomez (D-Los Angeles). Critics of the bill used Gomez’s own Facebook video, which was recorded live from a hospital where he was treated after sustaining a softball injury, as an example of how the Planned Parenthood bill’s language could overcriminalize behavior. With the measure’s current language, critics said even capturing conversations in the background of Gomez’s hospital video could be considered breaking the law. The bill comes as Planned Parenthood is desperately attempting to suppress information regarding its “baby parts” scandal. 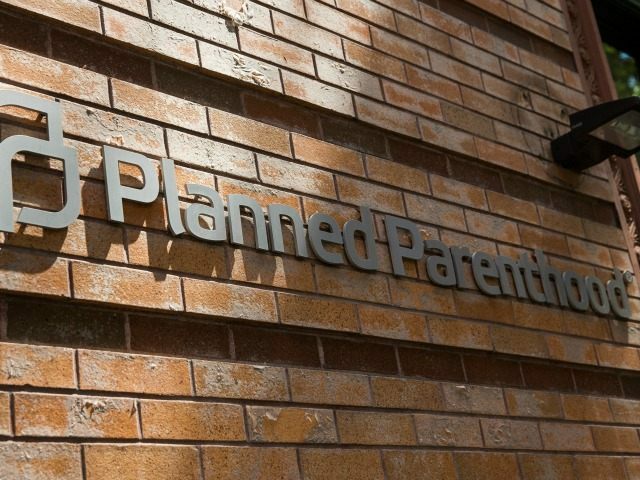 Last year, undercover journalists from the Center for Medical Progress released a series of videos exposing Planned Parenthood’s alleged practices of illegally selling the body parts of babies it aborts, and allegedly altering the position of babies during abortion in order to maximize the chance of harvesting intact organs. Opponents of the bill are concerned about its potential to violate the First Amendment rights of the press and to obstruct journalists’ job of providing information that is in the best interests of the public. In the case of Planned Parenthood – which receives over half a billion dollars annually in taxpayer funds – it is in the interest of taxpayers to know if their money is spent on potentially criminal behavior, such as the sale of fetal tissue for profit. The California Senate Appropriations Committee analysis of the measure shows the committee’s heightened concern that its language could draw a significant number of lawsuits. “Consequently, to the extent this measure contains language that could be challenged as unconstitutional, this bill could result in potentially significant costs associated with litigation, both to the court and to the Attorney General,” the analysis states. While state Sen. Loni Hancock (D-Oakland) is a supporter of Planned Parenthood, she is concerned about a bill that would punish media outlets for exposing corruption for the public’s benefit. “It’s the distribution that really causes the harm,” she said. “With the Internet, false information like this can spread like wildfire,” she told the Bee. Parker said Planned Parenthood has considered changing the bill by adding some protections for the media, although Bee reports Parker asserted whistleblowers should take their recordings to law enforcement for investigation, not the public. Since the exposure of Planned Parenthood’s alleged practices in the sale of fetal tissue, the organization has been under fire for using its political influence to turn critics’ attention toward CMP and away from itself. Soon after the release of the video series, Harris County, Texas District Attorney Devon Anderson convened a grand jury – under suspicion of bias – that cleared Planned Parenthood of any wrongdoing in the exposé and, instead, indicted CMP project lead David Daleiden and his colleague Sandra Merritt. Reacting to the indictment of Daleiden and Merritt, two pro-choice law professors wrote that the action amounted to “a stunning act of legal jujitsu” and was a “deeply disturbing” outcome both for the First Amendment and undercover citizen journalists attempting to expose corruption. Subsequently, a judge dismissed all charges against Daleiden, though the court’s decision was barely reported in the mainstream media. The office of California Attorney General Kamala Harris – now a Democratic Party candidate for the U.S. Senate – has also been criticized for seizing Daleiden’s property while Harris herself has received thousands of dollars in campaign contributions from Planned Parenthood. Harris’ campaign website features a petition asking voters to support and protect Planned Parenthood’s federal funding. The attorney general received $15,000 from Planned Parenthood during her re-election campaign in 2014. Throughout the past year, Planned Parenthood has continued to seek cover from its media and political allies, especially Democratic Party presidential nominee Hillary Clinton, a longtime “friend” of the group. The abortion business is spending $20 million to help elect Clinton, and is registering people to vote at all of its clinics, on college campuses, and online as well.